04 June 2016 saw the annual Summer Fair at OPC; this year, it was themed around the Queen’s 90th birthday celebrations. To raise awareness of the organ, four short recitals were organised, to provide music as visitors looked around the church. 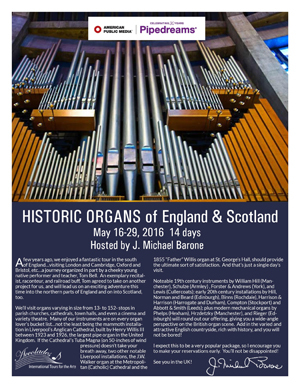 On Sunday 22 May, Ormskirk Parish Church was the venue for a group of around 50 organ enthusiasts from across the USA, as part of their fortnight-long ‘Pipedreams Tour 2016’ of the North of England and Scotland. This annual tour takes members of the group around the world; this year’s focus being the North of England and Scotland, they were visiting a number of interesting organs, under organiser J Michael Berone, along with UK link Tom Bell, who started his musical life here in Ormskirk. On the day of the visit, OPC fitted in between visits to Lancaster Priory and Liverpool Cathedral, although they had also had the opportunity of visiting the Metropolitan Cathedral in Liverpool, as well as St George’s Hall. Amongst other venues visited was Adlington Hall, Cheshire, where the 1670 instrument reputed to be by ‘Father’ Smith had been rebuilt in 1741/2 by Richard Parker, who also undertook the 1758 rebuild in Ormskirk. Tom Bell gave an excellent demonstration of the organ and its resources, and other members of the tour had the opportunity to try it out. Altogether, a very interesting day which they seemed to have enjoyed, before hastening off towards Liverpool! The church from the south-west. It was decided to record the organ exactly as it is heard in the building. On that basis, no enhancement has been made to the sound and so the recording was made using two Sony electret condenser cardioid microphones facing the organ diagonally at a height of only 5’, from the Scarisbrick Chapel. The pieces have been selected to reflect the variety of sounds available from the instrument, whilst accounting for the current deficiencies, which it is hoped a restoration would rectify. March in D – Best: Included here chiefly because WT Best was probably the greatest concert organist of all time and was a local man, playing at St George’s Hall, Liverpool, to huge audiences. Whilst he was responsible for many transcriptions of orchestral music to bring them to the wider population, this is an entirely original piece. It provides a good impression of the massive Full Organ sound. Sonata pour l’Offertoire – Petrali: Petrali was the teacher of the great Italian organist/composer, Marco Enrico Bossi. This piece was written as an incidental piece for the mass; it demonstrates movement between Great, Swell and Choir. 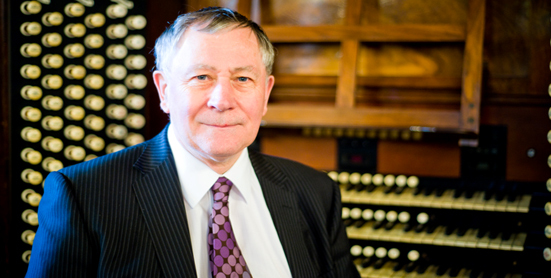 Trumpet Voluntary – Clarke: Clarke was the first Organist of the new St Paul’s Cathedral, London, built by Sir Christopher Wren after the Great Fire, and became simultaneously Organist of the Chapel Royal. His inability to establish a relationship with the woman of higher social status with whom he had fallen in love resulted in his committing suicide by shooting himself. He is buried at St Paul’s. Nevertheless, this piece is a staple of many weddings, and features the Tuba on the Choir Organ. Fugue in G – Krebs: This piece has been selected to demonstrate the organ’s ability to deliver the lighter music of C17/C18 northern Europe in a piece by Krebs, who was a pupil of JS Bach. Choeur des Sauvages – Rameau: Rameau was born at the end of the C17. This piece is part of some incidental music to a play with a plot involving French and Spanish settlers and their interaction with the ‘Savages’, i.e., the indigenous population. There is nothing remotely savage about this piece! Allegro – Thorley: The Ormskirk organ still retains a few stops from the C18 predecessor instrument, including flutes on the Choir Organ. These are used to effect in a piece of music contemporaneous with them, written for organ without pedals. Grand Choeur – Fletcher: A feature of the Ormskirk organ is the distinctive characteristics of each of the departments; the Choir Organ is in fact two divisions, with the Enclosed Choir being, in reality, a Solo Organ, albeit on the third manual. This piece demonstrates the differences between the Great and Swell, heard at the opening, the Swell on its own, which is almost as powerful as the Great and has a massive crescendo ability, and the Choir, heard in the lighter interludes, although not markedly smaller in volume. Gavotte – Camidge: Camidge was Organist of York Minster and wrote a large amount of light-weight organ music for the classical English organ without pedals. This piece alternates between the C18 Choir Open Diapason (originally on the Great in the predecessor instrument) and the Great no.3 Open Diapason of 1887. Te Deum Prelude – Charpentier: More recently adopted as the European Anthem, this piece was popularised by Dr Noel Rawsthorne during his tenure as Organist of Liverpool Cathedral. It demonstrates the Tuba in the playing of a large orchestral transcription and is very effective, although Charpentier would never have had the opportunity to hear it in this form! Post Communion – Morandi: This piece is in a lighter idiom; Morandi was a major Italian composer in the first half of the C19 and this piece forms a bridge between the classical style and the incoming romantic movement. It has something in common with the slightly later Court music of Johann Strauss II in Vienna. Scherzo Pastorale – Federlein: Gottfried Heinrich Federlein’s writing, although from the early C20, is more modern in idiom; here, the Choir Clarinet features. This delightful scherzo pastorale is one of his more popular pieces. Prelude and Fugue in D – Buxtehude: Buxtehude was the organist whom legend has it that JS Bach walked many miles to hear. It will be clear from this piece the extent to which he influenced Bach. It demonstrates the ability of this instrument to render some authenticity to north European organ music of the baroque period. Rondeau – Mouret: Mouret represents the early C18 French school of organ-writing. This piece is a fanfare-like trumpet tune, again rendered on the Tuba against the remainder of the Great, Swell and Pedal. Sarabande – Karg-Elert: Karg-Elert was a German organist at the beginning of the C20. Probably his most famous piece is ‘Nun Danket Alle Gott’ from the ‘66 Chorale Preludes for Organ’; this miniature from the same collection demonstrates the string-tones on the Swell of the Ormskirk organ. The final episode is delivered on the Clarinet. Bluebell Polka – F Stanley: Not to be confused with the great blind organist John Stanley, no-one seems to know who F Stanley was, although this polka became popular in the mid 1950’s rendered on an accordion! The sound of a French Trompette can be heard in this very lightweight piece; it is achieved by the combination of the Choir Clarinet and Orchestral Oboe! War March of the Priests – F Mendelssohn: Written as part of the incidental music to Racine’s play Athelie, this has become very well-known and provides a tongue-in-cheek option as a voluntary at the end of a service involving a great number of clergy! is currently tutor to student organists at the church. The CD is available from the church; otherwise, contact the Organist on +441695 578640. The care of our instrument is once more in the capable hands of David Wells Organ Builders of Liverpool. Following the sad death of our previous tuner, Keith Edwards of Tattenhall, Chester, it has been decided to ask David Wells to look after the organ. 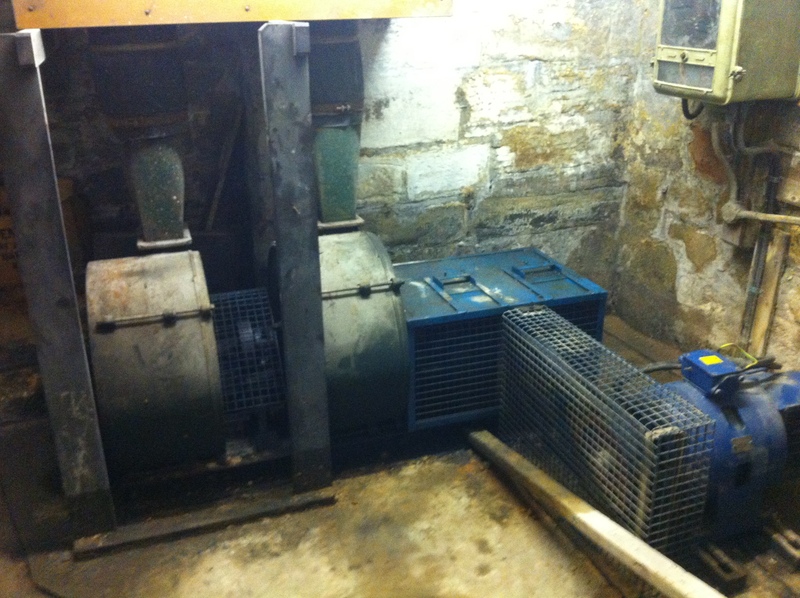 David has built his firm up over a number of years, having worked with both Henry Willis and Son, where he was trained, and later Harrison & Harrison of Durham. For many years, he has been responsible for the maintenance of the organ in Liverpool Cathedral, and he currently looks after a number of cathedrals and large concert halls.